We are used to expensive wedding rings from celebrities... But Mila Kunis has shocked the world when she revealed that she bought her wedding band online for a meagre US$90. 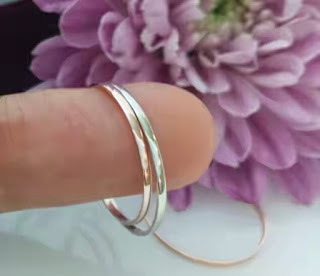 The actress was being interviewed on Conan, when she told the host that she purchased both her own and husband Ashton Kutcher's wedding rings at online marketplace Etsy. 'My husband and I got married … and he got me a beautiful engagement ring. Like, stunning, stunning, stunning,' she said. 'But for our wedding bands, for when we got married, I decided to just get them off of Etsy. And so our wedding bands are from Etsy, she declared.